The earliest known reference of spirits distilling in Scotland is 1494, but it can be assumed that it was practiced there much earlier. 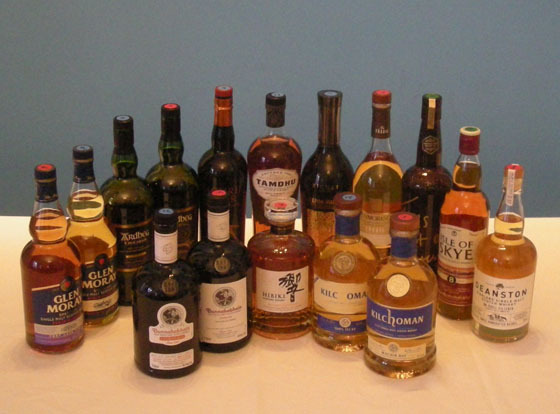 There are now over 100 malt distilleries in Scotland producing malts that can be called “Scotch”. To bear that appellation, a whisky must be distilled and matured in oak barrels for at least three years in Scotland. 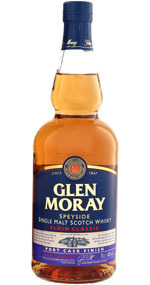 The term “Scotch” is proprietary – but the term “Single Malt Whisky” can be applied to malt whiskies produced in other countries. Single malt scotch is produced at one distillery, using only malted barley as the grain, and distilled in copper pot stills. The difference between single malt and blended scotch is that blends contain multiple combinations of single malts and neutral grain spirits. Single malts were first widely exported in the 1960s, and age was touted in an effort to imply superiority over the blends that consumers were used to. Before about 1980 almost all single malt inventories were used for producing blended whiskies, and by the 1980s, during the Golden Age of Vodka, demand for whisky in general had plummeted to the point where many Scottish distilleries and suppliers closed their doors. Although blended scotch is still dominant in volume, the current trend is towards single malt scotch, which has seen rapid growth through explosive Global demand in recent years. Most brands are now over-demanded by 30% to 50%. For decades, when it comes to single malt scotch whisky, we tend to pick our favorites based on how long they've sat in a barrel: the Talisker 18 year old or Glenfiddich 12, for example. A reformation is quietly under way with a mysterious new crowd making their appearance, and their labels are prominently numeral-free. Increasingly, brands are introducing a relatively new category called "no age statement" (or "non-age-stated") whiskies. These expressions offer a different take on a favorite brand, where things like maturation techniques, a specific flavor profile or other character take precedence over age. 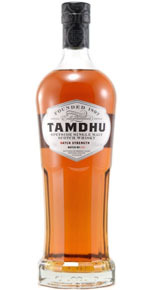 Instead of an age statement, these spirits are generally given names to explain their focus, like "Traditional Cask", "Four Wood" or "Small Batch Reserve", or unusual Gaelic names. Laphroaig was one of the first to do a non-age-statement with their "Quarter Cask". Now it's the fastest-growing brand in their portfolio, making up 25% of sales, and one of the top 15 selling whiskies in the world. Why the change? Most if not all single malts are blended. 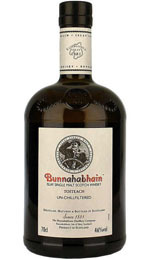 By Scottish law, an age statement on the bottle must state the youngest age of the blend. That's easy if all the barrels you're incorporating have been aging for example 10 years. But if you've got a blend that's mostly 30-year-old whisky tempered with just a touch of a four-year-old distillate, you have to call the whole thing a four-year. That makes it hard to convince consumers to spend a couple hundred bucks on your rare dram, when it looks like a young whisky based on the label. The age of a product is just one way to determine the character of the whisky, but it doesn't always tell you about the quality. With no age statement, distillers and blenders can marry a large variety of casks together to create innovative flavor profiles and unusual expressions, without being constrained by having to write the youngest age on the bottle. It allows distillers to show a extraordinary spectrum, depth and complexity of their products that one doesn't necessarily get from age alone. While innovation will always continue to be a part of the market, the classic aged-stated expressions will remain unchanged. The bottom line is that there are many other factors besides vintage to consider when selecting a scotch. If you like the taste, then it’s the right thing for you – and don’t be so concerned about age. The Fifty Best held a “blind” tasting of 14 No Age Statement Scotch whiskies with a panel of 18 judges. Strict tasting rules were applied. The order of service was established beforehand by lottery. The scotch whiskies were poured into fresh glasses from new sealed bottles, and served at slightly above room temperature. Each of the scotch whiskies were evaluated and scored separately. Only ice water, neutral unflavored crackers and chips were available to cleanse the palate. The judges wrote down their impressions of each product on score sheets. The scoring was done on a 5-point system, with 5 as the best. Double-Gold and Gold medals are awarded according to a set range of final point scores received from the judges. There were no Silver or Bronze medals awarded for this tasting. The tasting notes that follow are summaries of the judges’ opinions, with all replicated commentary eliminated. The regions of origin are identified for each brand. Nose: Butterscotch, toffee, nut toffee, caramel, chocolate, milk chocolate, banana, tropical fruit, dried fruit, marmalade, cashew, baked goods, cola, black tea. Palate: Caramel, dark chocolate, creamy, honey, citrus, orange, raisin, spice, pepper, allspice, cinnamon, clove, fern, ginger, coffee, intense tannin, wood. Finish: Caramel, candied orange rind, orange, citrus, muscat, dried fruit, cognac, clove, cinnamon, spicy, woody, beautiful, creamy, smooth. Nose: Toffee, honey, vanilla, dried fruit, chocolate, milk chocolate, brown rice, pecan, floral, moss, spice, black pepper, clove, sherry, bourbon, wood, oak, smoky. Palate: Toffee, honey, caramel, butter, vanilla, big lemon zest, berries, banana, dried strawberry leaves, cola, cocoa, dark chocolate, silky chocolate, praline, almond, pecan, spice, anise, cinnamon, nutmeg, wood, moss, peat, smoky, complex, classic scotch note. Finish: Lemon, spicy, clove, coffee, wood, very light, silky, beautiful, attractive, delicate, lovely. 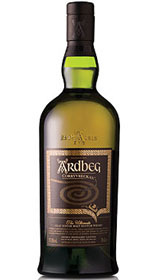 Nose: Honey, dried fruit, grainy, creamy, sherry, spice, clove, peat, cedar, wood, charred oak, smoky, campfire. Palate: Toffee, sweet orange, citrus, dried fruit, raisin, dark chocolate, almond, cinnamon, spice, pepper, phenolic, oak, bourbon oak, woody, peat, smoke. 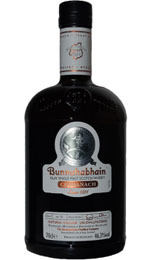 Finish: Caramel, dried cherry, barley, clove, cinnamon, spicy, peppery, sherry cask, dry, clean, bold. Nose: Honey, vanilla, dark chocolate, bitter chocolate, citrus, wheat, pine nut, malty, peat, cedar, woody, light smoke. Palate: Orange, citrus, vanilla, ginger, spice, sweet spice, pepper, mocha, leather, smoked sausage, woody, cedar, intense smoke, peat, tannic. 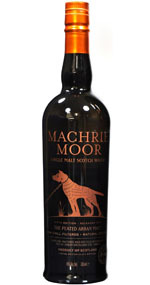 Finish: Toffee, orange peel, vanilla, coffee, pepper, spicy, mineral, toasted oak, smoke, peat, smooth, dynamic, intense. Nose: Nougat, caramel, toffee, vanilla, honey, pineapple, orange, dandelion, sage, almond, spice, clove, toasted grains, malty, briny, peat, smoke. Palate: Caramel, toffee, honey, heavy cane sugar, fruity, apple, floral, grassy, vanilla, pepper, chocolate, woody, cedar, oak, smoke, peat, sea spray, smooth, extra light, well balanced. 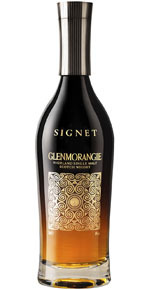 Finish: Dried fruit, citrus, floral, herb, spice, cinnamon, pepper, light smoke, oak, ash, peat, complex, nicely balanced, elegant. Nose: Orange, fruity, dried floral, moss, nut, cereal, light smoke, wood, peat, light iodine. 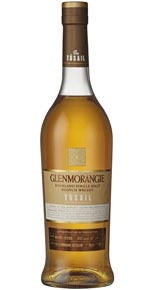 Palate: Caramel, citrus, orange, perfume, nutty, spice, cinnamon, white pepper, woody, oak, heavy smoke, brine, salt, peat. Finish: Orange peel, floral, perfume, eucalyptus, pepper, clove, oak, smoke, smooth, dynamic. 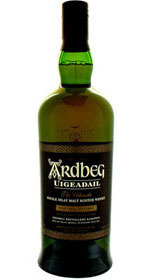 Nose: Banana, citrus, nutty, sorrel, cereal, wood, light oak, smoke, peat, iodine, peat, smoke, brine, classic scotch nose. 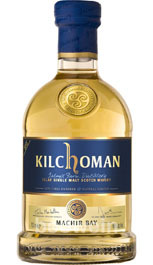 Palate: Tropical fruit, citrus, creamy, dried straw, floral, spice, black pepper, clove, tree bark, smoky, applewood smoked bacon, peat, light, smooth, bold but not overbearing, balanced. Finish: Herb, nutty, spice, black pepper, woody, toasty, pale smoke, mellow. Nose: Toffee, honey, apricot, coconut, raspberry, lemon, citrus, floral, honeysuckle, whipped cream, strong vanilla, almond, ginger, dark chocolate, wood, cedar, subtle smoke. Palate: Caramel, toffee, creamy vanilla, honey, cola, berry, orange, orange peel, raisins, floral, cinnamon, malty, cedar, very smooth, rich, approachable. Finish: Butterscotch, honey, raw honeycomb, creamy, fruity, apple, challah bread, birch wood, smoke, clean, smooth, soft, approachable, attractive. Nose: Honey, caramel, fruity, dried apricot, vanilla, butter, almond, cereal, floral, hazelnut, cinnamon, clove, black tea, young wood, pretty, bourbon-barrel influence, fresh laundry. 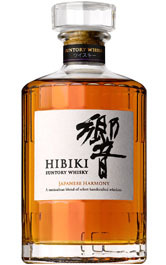 Palate: Caramel, honey, honeycomb, fruity, dark fruit, floral, honeysuckle, dark chocolate, creamy, spicy, clove, white pepper, cinnamon, slight nuttiness, pumpernickel, cedar, oak, smoky. Finish: Citrus, fruit, chocolate, cream, cinnamon, clove, oak. Nose: Honey, vanilla, banana, citrus, orange, tropical fruit, dried fruit, raisin, perfume, floral, honeysuckle, oatmeal, tea, woody, cedar, musk, light peat opens up with water, bright. Palate: Honey, berries, orange peel, grapefruit peel, green apple, dried fruit, prunes, herbs, nutmeg, grassy, ginger, cinnamon, clove, briny, moderate intensity, smooth. 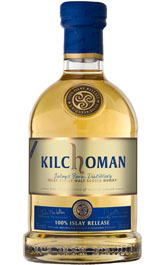 Finish: Honey, light citrus, orange, fruity, chocolate, smoky, peat, smooth, soft, gentle, pleasant. 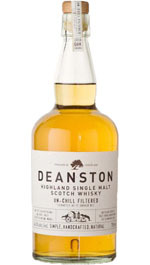 Nose: Caramel, honey, vanilla, light fruit, citrus, peanut butter, cinnamon, floral, marzipan, toasted oats, malt, peat, hint of smoke, maritime, delicate. Palate: Toffee, molasses, citrus, orange, lemon peel, fruity, semi-sweet chocolate, dried flowers, jasmine, raspberry leaf, almond, spice, clove, mint, menthol, cedar, sweet charcoal, peaty, briny, light smoke, phenolic, savory, balanced, smooth, delicate. Finish: Honey, fruity, orange, spicy, cinnamon, clove, dark chocolate, coffee, smoke, peat, smooth. Nose: Honey, berries, peach, banana, tropical fruit, dried fruit, citrus, light vanilla, floral, honeysuckle, grassy, wood, smoke, peat, elegant, dynamic, impressive. Palate: Honey, toffee, vanilla, dark fruit, light raisins, citrus, orange peel, lemon zest, rose petals, almond, spicy, ginger, peppery, light anise, mineral, musk, oak, elegant, refined, smooth. Finish: Raw honey, dried fruit, raisin, floral, grass, clove, woody, gentle, smooth, elegant. Nose: Honey, vanilla, cream, chocolate, grape, floral, cinnamon, leather, cedar, burnt wood, smoke, peat, iodine. Palate: Butterscotch, toffee, buttery, cream, vanilla, honey, apple, orange peel, lemon, dried fruit, plantain, patchouli, light spice, cinnamon, tea, dark chocolate, rum, cognac, toast, wood, oaky, lignin, lightly tannic, savory, smoke. Finish: Stone fruit, dried fruit, bergamot, cinnamon, pepper, gentle chocolate, oak, smoke, well balanced, edgy. Nose: Honey, vanilla, caramel, strawberry, citrus, orange, orange peel, banana, fruity, steamed rice floral, perfume, brandy, honeysuckle, patchouli, spice, clove, new wood, bourbon oak, delicate. Palate: Honey, dark dried fruit, orange peel, raisins, lychee, fruity, perfume, floral, herb, spice, cinnamon, ginger, vanilla, creamy, cedar, grainy, complex, refreshingly aggressive. Finish: Toffee, burnt sugar, honey, lychee, orange peel, dried fruit, vanilla, coffee, spice, pepper, smooth, clean. "This is not a luxury Whisky"
Blended cask-strength Scotch whisky made with four whiskies: 19-year-old malt whisky distilled at the Glen Ord distillery, two separate 40-year-old grain whiskies distilled at Girvan & Strathclyde & a portion of 30-year-old malt whisky from the Caol Ila distillery. Nose: Toffee, caramel, honey, vanilla, baker’s chocolate, dark fruit, dried fruit, raisins, corn, floral, raspberry leaf, grassy, nutty pecan, clove, bourbon barrel, mahogany, oak, iodine, complex. Palate: Caramel, honey, fruity, dried fruit, raisin, citrus, olives, nutty, roasted walnut, cinnamon, pepper, rye, spice, cayenne, savory, complex. Finish: Caramel, creamy, Mexican chocolate, honey, fruity, orange peel, dried fruit, spice, pepper, cinnamon, tea, woody, rich, smooth. 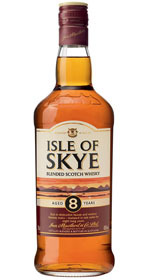 Isle of Skye 8 yrs. Nose: Honey, toffee, caramel, fruity, orange peel, raisin, barley, floral, spice, clove, leather, woody, oak. 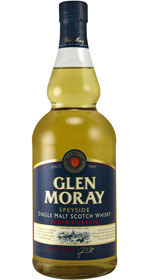 Palate: Toffee, caramel, vanilla, chocolate, honey, fruit, spice, pepper, lightly peaty, creamy, smooth. Finish: Honey, star anise, grape, apple, fennel, wheat, wood, smoky, soft, smooth.